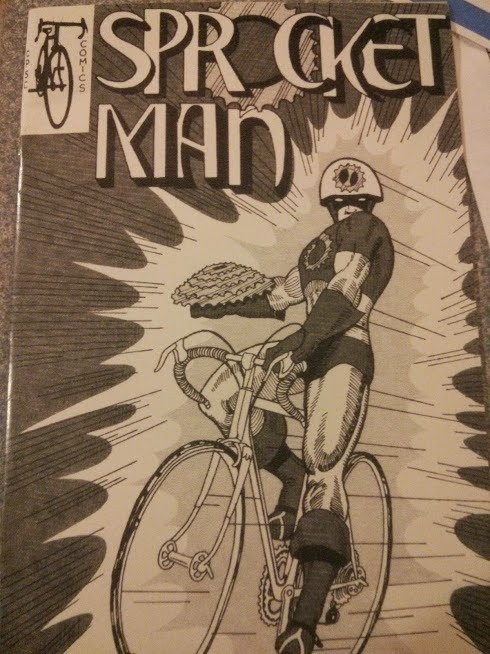 Cycle Jerk: Thank You Sprocket Man! My daughter just attended a safety demonstration put on by Montgomery County. I have to give the county props, they sent a ladder truck and an ambulance to show off to six little girls. Way to go big MC. 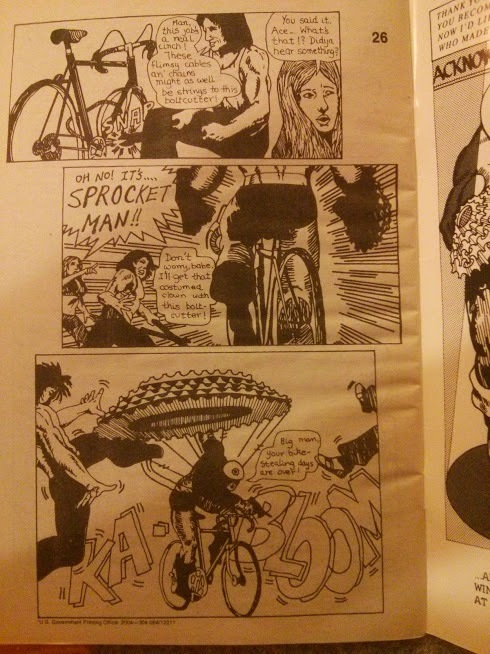 As fun as it was for the girls I think the real gem hear is the 1975 safety comic classic "Sprocket Man" she brought home. 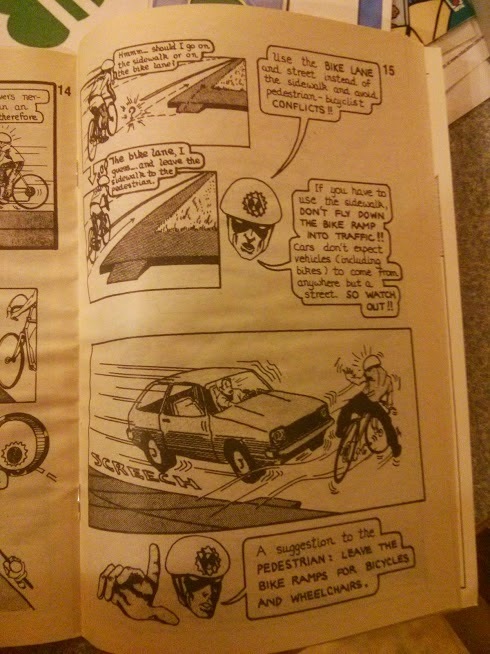 A comic book hero hell bent on bike safety education. What government warehouse has this been hiding in all my life? His weapon of choice (besides awesomely delivered bike safety fundamentals) is a giant cassette he keeps on his wrist (varies from 4 to 5 speed). He actually HITS PEOPLE WITH A GIANT CASSETTE! Please take a moment to consider the implied gore and carnage of the following scene. KA-BLOOM indeed. The woman has clearly been chopped in half and Gene Simmons in the wife beater is loosing that leg and probably some intestines for sure. Main take away: The 70's were awesome and no time to be a bike thief.